The Obama administration seems to have put an end to official Chinese criticism of American “unilateralism.” The apparent withdrawal of this familiar line of Chinese propaganda should undermine the arguments of hardliners in the Chinese Communist Party (CCP) and the People’s Liberation Army (PLA) who see the United States as an adversary. 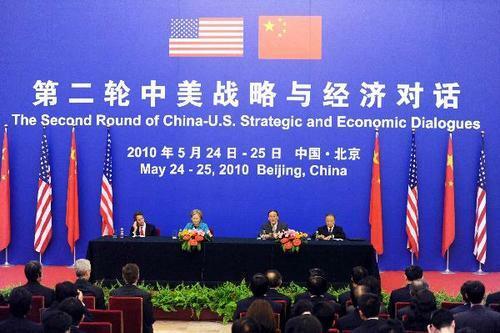 The Xinhua article also called attention to the Obama administration’s emphasis on the economic foundations of both national power and international security, as well as the administration’s desire to expand cooperation beyond traditional allies to include major developing nations like China and India. This echos the arguments of Chinese leaders who see continuing integration with the international economy and increased international cooperation, rather than military power, as the key to China’s standing in the region and the world. As Chinese President Hu Jintao winds down his second and final term, and China prepares for its own domestic political transition, the apparent withering away of Chinese concerns about American unilateralism is a welcome sign that anti-American posturing may not be a significant factor in shaping the foreign and military policies of the next Chinese administration.